← Hedgie is so much cuter in the sun! It’s almost time for Nettie and Friends! 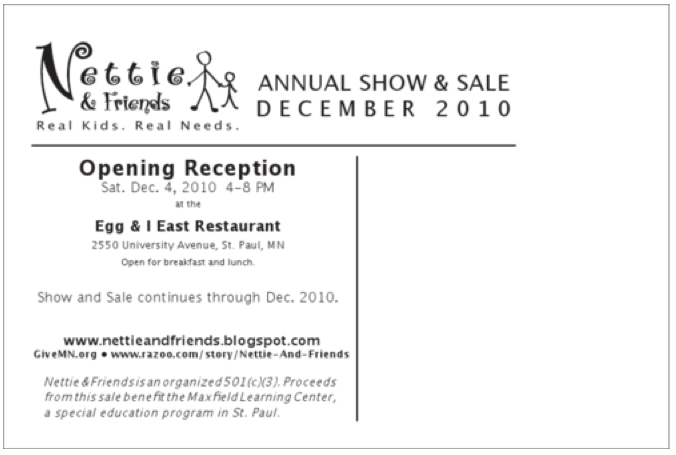 It’s almost time for the 2010 Nettie and Friends show to kick off your holiday shopping, with all proceeds going to an excellent cause! Nettie is a friend of mine who teaches special education at Maxfield Magnet School in St. Paul. Maxfield serves a population of kids who live in poverty and the proceeds from the Nettie and Friends show fund a variety of outreach programs including making sure kids have a hot lunch every day even when their parents cannot afford to buy them hot lunch, stocking a uniform closet to make sure these kids have the uniforms they need, buying school supplies for those who might otherwise go without, and funding hands-on exploratory field trips to enrich learning. A handful of my pieces will be available for purchase at the show as well. Stop by and check it out. 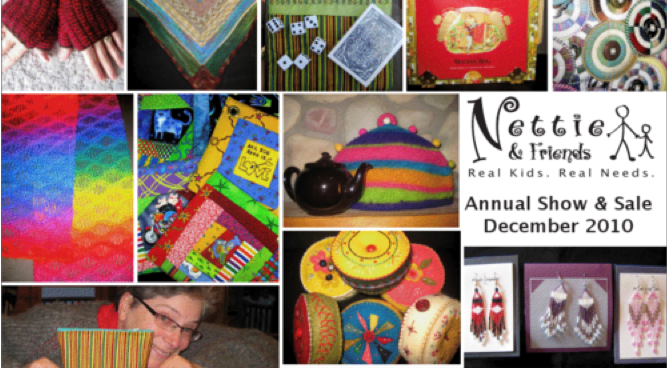 It’s a blast and it’s the epitome of buying cool handmade stuff from a local source! The details follow–but be sure to get there for the opening reception. The most amazing stuff will disappear fast! This entry was posted in Mosaic Musings and tagged nettie and friends. Bookmark the permalink.